Fall, in many regions, is a weird transitional phase between the more extreme seasons where you get a little bit of everything. This is certainly true in Omaha and the surrounding regions in Nebraska, where we still have hot days in autumn, while feeling the cold chill in the air grow ever stronger. This is a time where your HVAC unit is in full swing, as fall is a season where you often find yourself switching between the furnace and air conditioner depending on how the weather decides to act that day. Even though Nebraska is a far cry from being one of the hottest states in the country, it gets hot nonetheless, and it’s likely that your air conditioner has been working hard for a few months. With the all-too-brief summer on its way out, now is high time to service your HVAC unit. 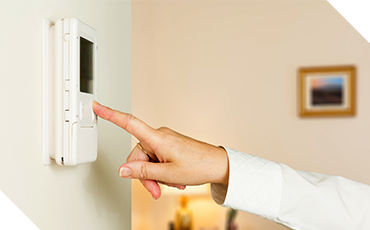 Excessive summer use has left it in need of a checkup, and it’s important to make sure that your furnace is in working order so you can be prepared for the cold Nebraska winter. First of all, it’s nice to see just where your HVAC system is. Usually, HVAC problems aren’t super obvious, so if there are any major, easily diagnosed issues, it’s best to get them out of the way from the get-go. One great way to do this is to do a test run of your machine. Run your HVAC at each temperature, ensuring that both the air conditioner and furnace are doing their job. Additionally, it also helps to check each vent and room in your home to make sure that the air is reaching everywhere you want it to. If it’s not reaching a certain area in your home, that’s a telltale sign that there’s something wrong with your vent system that’s impeding your HVAC’s functionality. These two things will help to alert you to any major problems your unit has. If your HVAC doesn’t perform the bare minimum of reaching the temperatures it’s supposed to, or can’t reach certain spaces in your home, this is a good starting point for identifying the dysfunctional parts of your system. We say this in almost every blog we write because it’s just that important! Replacing your air filter is cheap, exceedingly easy, and it has a profound impact on the health and longevity of your HVAC system. Both your air conditioner and furnace are dependent on a cleaned out air filter to function optimally. Regardless of the season or occasion, this is a task that you should be doing on a routine basis, at least once every quarter, but it doesn’t hurt to do it more. The reason this is important is that your air filter is essentially the gateway for all the air that enters into, and flows throughout your home. Your air filter catches pollutants, dust, and grime, keeping your air quality in check, and everything that flows through your home’s HVAC has to pass through it. When your filter gets dirty, clogged up, or damaged, it has consequences that, if left untreated, can have lasting effects on your air conditioner and furnace. 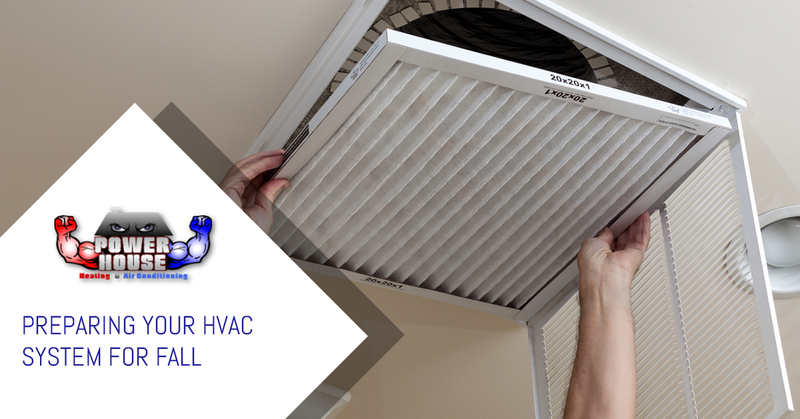 Your home’s air quality can deteriorate, and if the filter gets too clogged, your unit will have to work harder to push air through, which can wear your system out and shorten its lifespan. The best time to service your outdoor condenser unit is now! We’re getting away from the hot days of summer, but still a few months away from the piercing cold of winter. Autumn is a perfect time to go outside and do what needs to be done to your outdoor condenser unit. Essentially, you want to make sure it’s nice and clean, free of any clutter or blockage. Natural debris tends to build up as the seasons progress, and now is a good time to clear it out of dirt, leaves, weeds, overgrown grass, and all other manner of objects that don’t belong. When your condenser is surrounded by natural debris, it can be harder for the air to cleanly escape, disrupting the airflow and reducing efficiency. It’s also a good idea to take a hose to your unit. Some of the outdoor clutter can be hard to clean, and sometimes all you need is some good old-fashioned pressurized water. Cleaning your condenser unit is a simple task, but when it comes to your HVAC, every small step counts. Last but certainly not least, there’s nothing that’s more beneficial to your air conditioner and furnace than calling for a professional preventative maintenance checkup. While you can often diagnose whether or not there’s something wrong with your HVAC system, typical homeowners are seldom equipped or prepared to actually repair the problem, and pinpointing the exact issue can be a deceivingly difficult task. That’s why a professional HVAC contractor, such as our team at Powerhouse Heating and Air Conditioning, is a boon to your home heating and cooling. 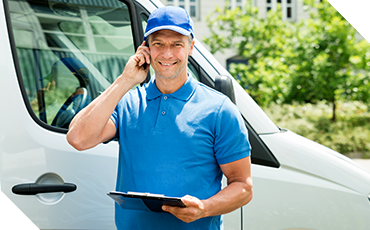 We can identify those issues that might not be noticeable to the average homeowner, and we are thoroughly equipped to handle any kind of repair that your air conditioner or furnace might need. If your system is in healthy order, we can perform essential tune-ups that will ensure that it lasts efficiently through the winter. Don’t leave your system unprepared and overworked in the cold months that will soon be at our doorstep. If you’re in the Omaha area or surrounding regions, contact us today!